PRE-OWNED UNIT BAVARIA 29 SPORT-LIMITED EDITION FOR SALE The Bavaria 29 Sport –Limited Edition is characterised by unique features and advances standard furnishing and fitting, and all this at an unbeatable price. Entry model of the German BAVARIA MOTORS’s shipyard, the BAVARIA 29 SPORT is a nimble miracle of spaciousness, full of power and sporty proportions. This unit is distinguished by smart details and an intelligent layout on deck for a hull of 9 meters and 2,99 meters of width. 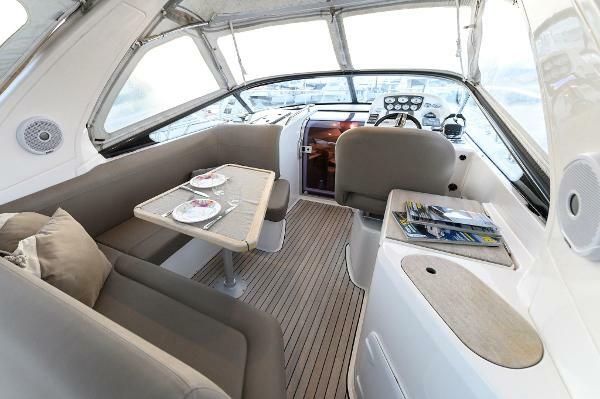 The Bavaria 29 Sport, with its large cockpit area, offers a generous saloon in “L”, a spacious double cabin, and a functional bathroom. 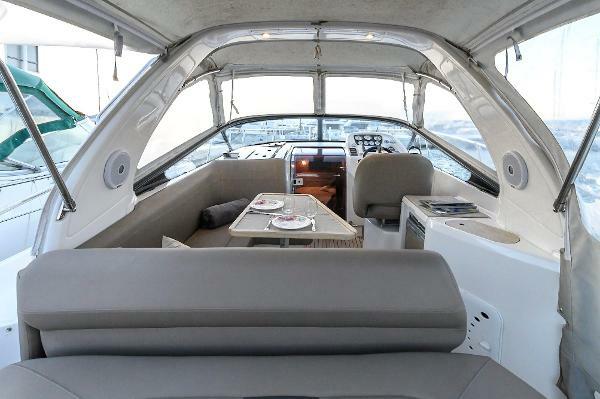 The outdoor space provides a practical galley equipped with a sink: this galley is equipped with a grill for delicious moments with family and friends. If you want to welcome more guests, the BAVARIA 29 SPORT has an impressive spaciousness: the seating and the bunks in the cockpit can welcome up to 6 people. Wind and sun, everything is possible with the 2 relaxation areas of the BAVARIA 29 Sport: you will enjoy sunbathing on the adaptable aft sunbathing or feel the wind on the foredeck. Apart from design and functionality, safety and security are on of BAVARIA 29 Sport’s focal points when designing motor boat. For example, to access to the cockpit, a small barrier is present directly by the bathing platform, as the huge gangways. Concerning the engine power, this BAVARIA 29 SPORT is motorized, 2 x Volvo Penta 4.3 225 hp and is always maintained by Volvo Penta shipyard. 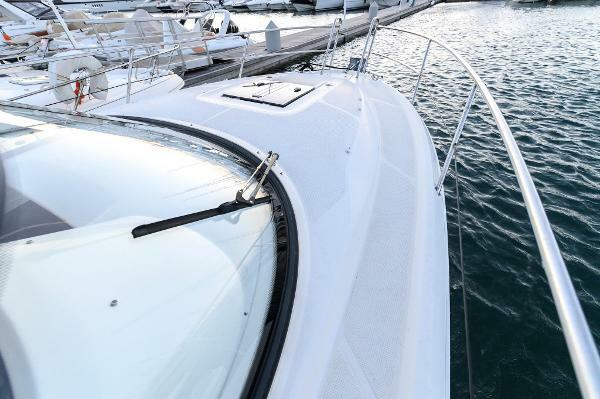 Strong behaviour and huge spaces onboard, the Bavaria 29 Sport is a unit to discover! Do not hesitate to contact us for other opportunities: JEANNEAU, BENETEAU, BAVARIA, FAIRLINE, RODMAN, PARDO, CANELLI, VANDUTCH, SESSA, WELLCRAFT, BOSTON, SEA RAY, MAXUM, FOUR WINNS, FJORD, WINDY, CHRIS CRAFT, FIART, RIVA, AIRON MARINE, SEALINE, SUNSEEKER, PRINCESS, KELT, WHITE SHARK, QUICKSILVER, COLOMBO, BLACKFIN, NUOVA JOLLY, VALIANT, KIRIE, DUFOUR,BOMBARD, OCQUETEAU, WHITE SHARK, CAPELLI, BWA, SILLINGER... The Company offers the details of this vessel in good faith but cannot guarantee or warrant the accuracy of this information nor warrant the condition of the vessel. A buyer should instruct his agents, or his surveyors, to investigate such details as the buyer desires validated. This vessel is offered subject to prior sale, price change, or withdrawal without notice.